This week, shortly after her 60th birthday, Colo, the first gorilla born in human care, died in her sleep. 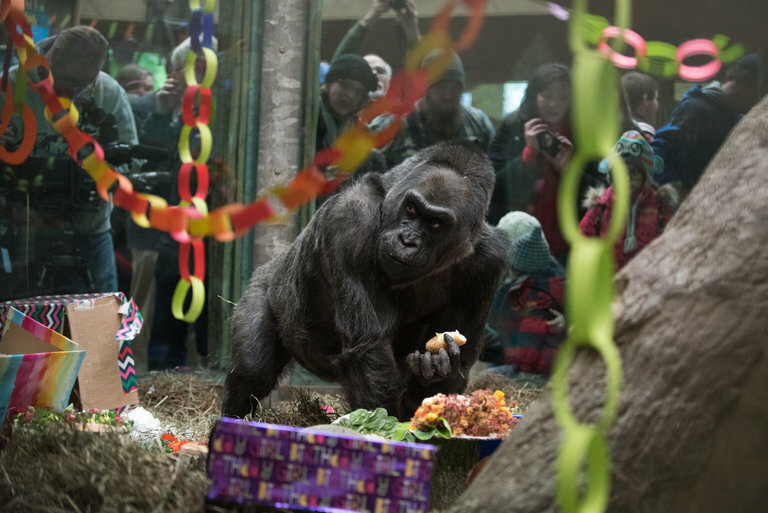 Part of the reason she lived so long — about 20 years longer than gorillas born in the wild — is because of the care she received. In zoos today, keepers work to reduce the stress of caregiving by training animals to be a part of their own care. Gorillas drink from bottles. Rhinos learn to get their teeth brushed. Lions are trained to get vaccines. Read more.